Round-table discussion with state and local leaders on California’s sanctuary laws, May 16, 2018. That is a flat-out lie. It was repeated by many other major media outlets, including USA Today and the Washington Post. 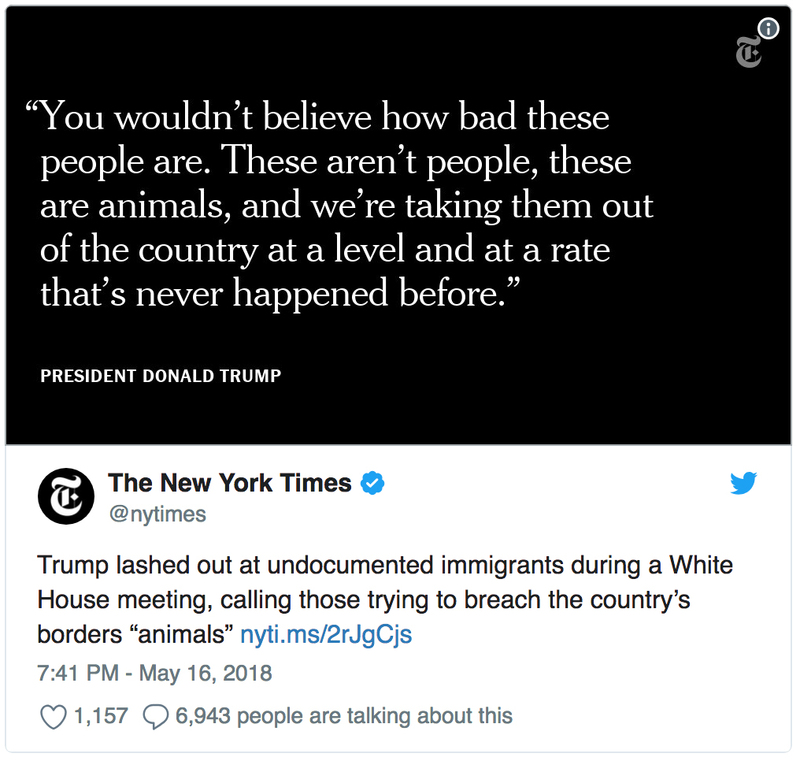 Instead of reporting the facts, virtually every mainstream media publication and news outlet posted story after story about how Trump called all undocumented immigrants “animals”. 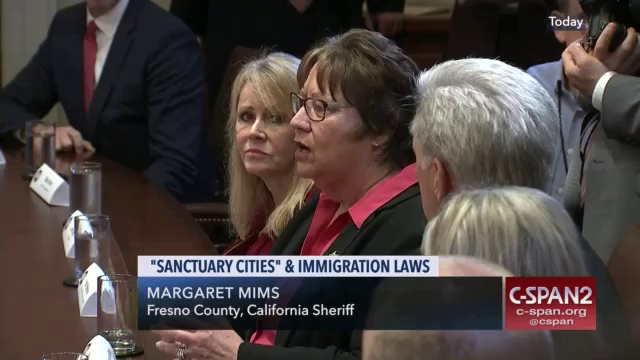 What was not evident from much of the news coverage of the event was that the president made his comments immediately after Fresno County Sheriff Margaret Mims expressed frustration with regulations which prohibit her from alerting ICE to the location of MS-13 gang members. The New York Times, on the other hand, is sticking to its story. Each of you has bravely resisted California’s deadly and unconstitutional sanctuary state laws. You’ve gone through a lot, too, although it’s becoming quite popular what you’re doing. A law that forces the release of illegal immigrant criminals, drug dealers, gang members, and violent predators into your communities. Scarcely a day goes by without the news media lying about the president and his administration. No wonder trust in the press is at an all-time low. 1. To take something out of context means to repeat part of what someone has said or written without describing the situation in which it was said, so that it means something quite different. Wikipedia explains take our of context to be when a passage is removed from its surrounding matter in such a way as to distort its intended meaning. 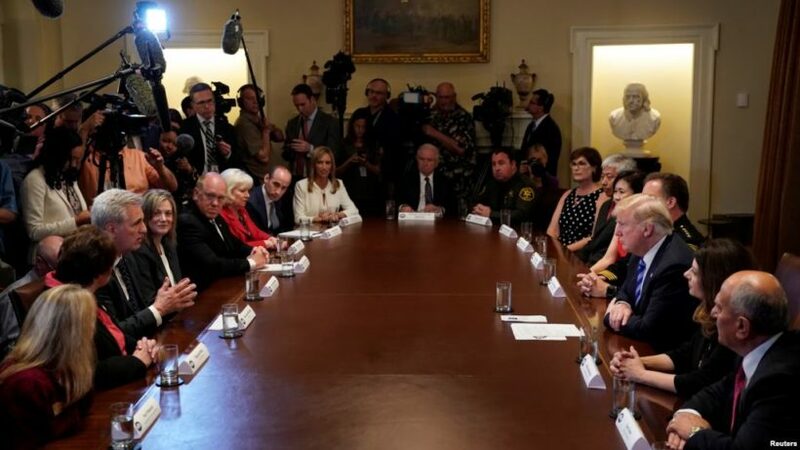 The White House round-table discussion with state and local leaders on California’s sanctuary laws was conducted publicly, with the media present. 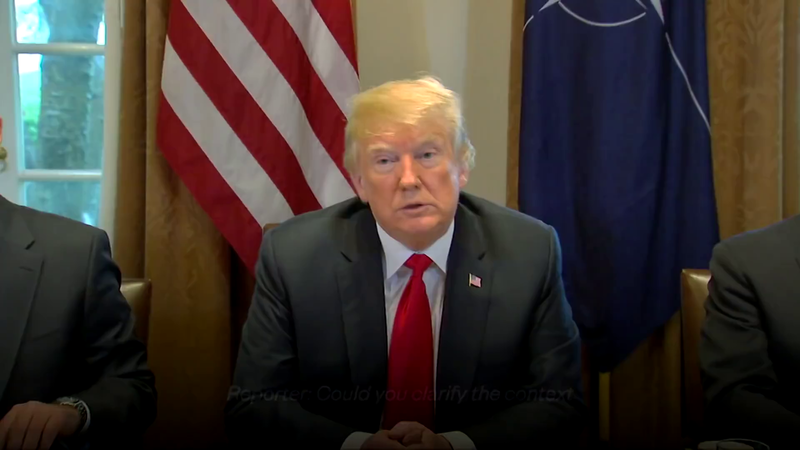 Why do you think the major news outlets Associated Press (AP), Washington Post, The New York Times and USA Today all chose to falsely report on President Trump’s remarks? 2. Hundreds of news outlets use AP stories. Although the AP later corrected its false claim, what harm do you think the initial false headlines did to the way undocumented/illegal immigrants view President Trump? 3. 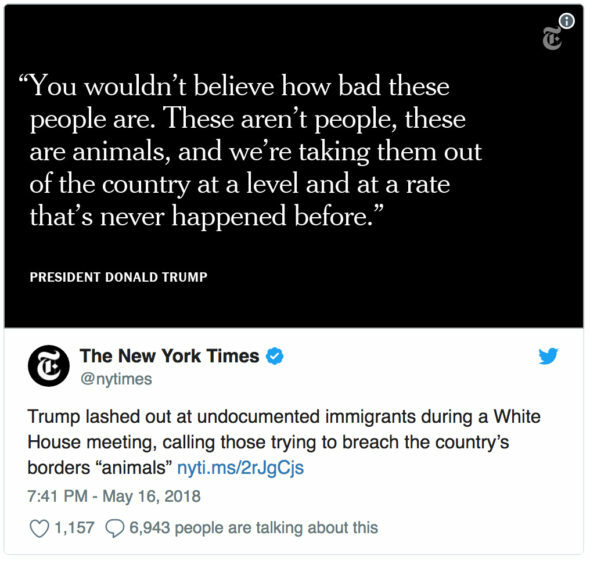 Why do you think The New York Times, which is known as “the newspaper of record,” mislead readers into thinking that President Trump called undocumented immigrants “animals” and refused to correct their misrepresentation? Explain your answer. 4. Most people skim headlines before reading whatever draws their attention – and do the same on social media, where we scroll through our Facebook or Twitter feeds and click on whatever catches our interest. A 2016 academic study of bit .ly links shared on Twitter to BBC, CNN, Fox News, New York Times and Huffington Post articles found that 59 percent of the links were never clicked. And another study of push-through news alerts to mobile phones found that “People click on the alert about half the time.” So for many casual readers who don’t closely follow the news, all they know about what President Trump said or did is from the headlines and alerts of articles they don’t read. When news organizations that are expected to be trustworthy quote the president out of context, they do a great disservice to our democracy and the legitimacy of the press. What would you say to the reporters and editors at these renowned news organizations that chose to misrepresent what President Trump said? THE PRESIDENT: Okay, Margaret [Sheriff Mims]? 2. Headlines influence the way we view the news. (Most readers don’t read corrections to news reports.) And after publishing a false headline, the damage has been done. After reading the headlines about President Trump’s roundtable meeting, most undocumented/illegal immigrants will falsely believe President Trump thinks they are “animals” – when he was in fact referring to MS-13 gang members.